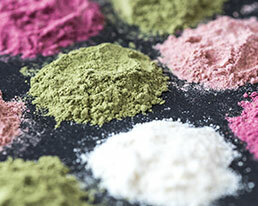 Powder mixtures are the first choice for some food supplements and dietary foods. Plants requiring a high dosage are ideal for use here. We will work together with you to develop the perfect formula, fully in line with your and your customers’ requirements. Whether it’s a protein shake, soup or instant powder – we’ll create your product in line with the latest scientific and quality standards. And we’re more than happy to accommodate different flavours. 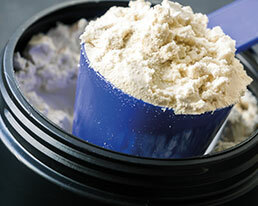 Ask our experts about the options for the powdery dosage form. We’re more than happy to provide you with further information!